TNTET - 2013 conducted the counselling from 03.09.2014 But the case which was filed in the Madurai branch court fousinesal Begam and Cheranmadhevi aroused a new position in TNTET appointments. In this case she put the points. But the TRB followed the scientific weightage system for appointments. This weightage system the marks calculated the candidates 12th, UG Degree marks and B.Ed marks. She said before 2000 scoring 1000 marks in higher secondary is very difficult. But after 2000 so many pupil score above 1150 is easily possible. Also the syllabus and examination pattern was so hard before 2000. But after 2000 there are so many changes in syllabus and examination patterns. So the students get more marks easily. So the weightage system is fully supported to those who passed +2 after 2000. So the court must stop the weightage based appointments and give stay for the appointments. Today (04.09.2014) this case take before the judge K.K. SASIDHARAN. and Mr. SAVIOR RAJINI, Mr. GANAPATHI SUBRAMANIAM are argued about this case. Finally the judge Mr.Sasidharan issued the stay order . It gives permission for conducting the counselling but issued the stay order for appointments. May be vacating the stay order and clear the case. The affected candidates who can scored high marks maybe given priority for next year appointments. 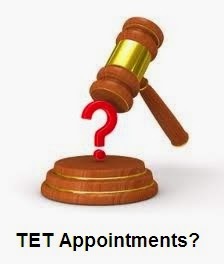 May be appointments should be on the basis of B.Ed. Employment seniority. Maybe included the additional weightage points for Employment seniority & Teaching Experience like PGTRB. ........................ (There is a chance to issue a new judgement other than the above expectations. We should wait for Judgement Day.